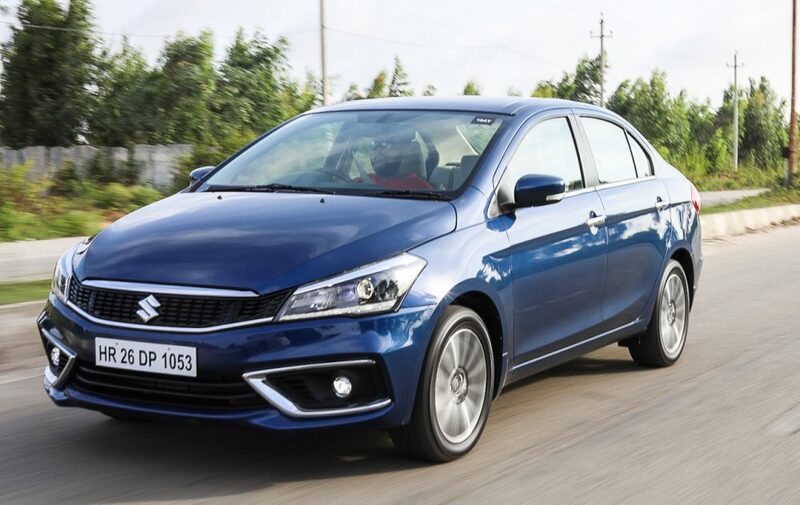 The new Maruti Suzuki Ciaz is everything you expected. Is that enough? Updates can be a tricky thing. How much does a manufacturer add without putting in too much? Is erring on the side of caution the way to go? I suppose most of the process of updating a car involves looking at the competition a whole lot. After all, if a car needs to be updated, it’s because the competition has moved on a bit. Or maybe they just want to remain more relevant. 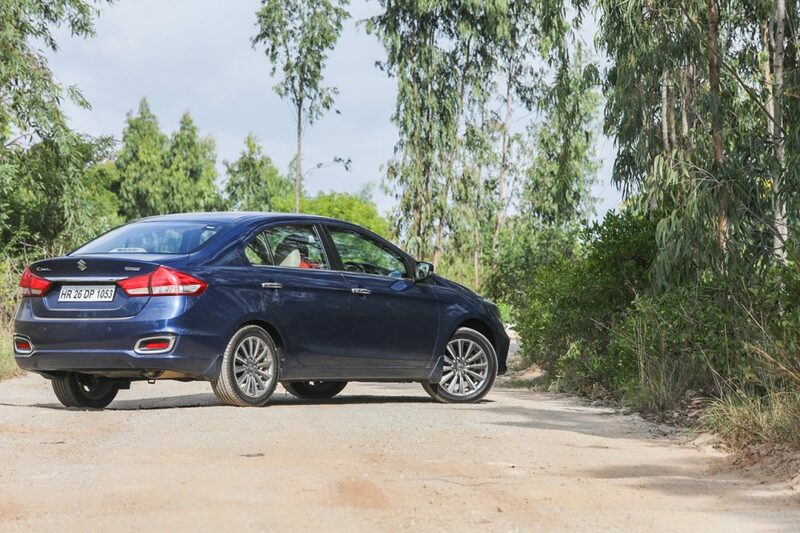 Whichever way you look at it, the new Maruti Suzuki Ciaz ticks all the boxes. It’s new enough in some ways and completely different to the earlier model in other ways, enough to make this a vastly different car to its predecessor. So what are the things that remain similar? The car’s well-balanced proportions and the roomy interior are the positives. 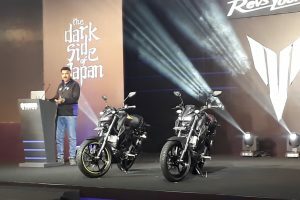 What I think could’ve been done better, despite the LED upgrade, are the tail-lamps. And what’s changed? Well, one look at the front should tell you that. 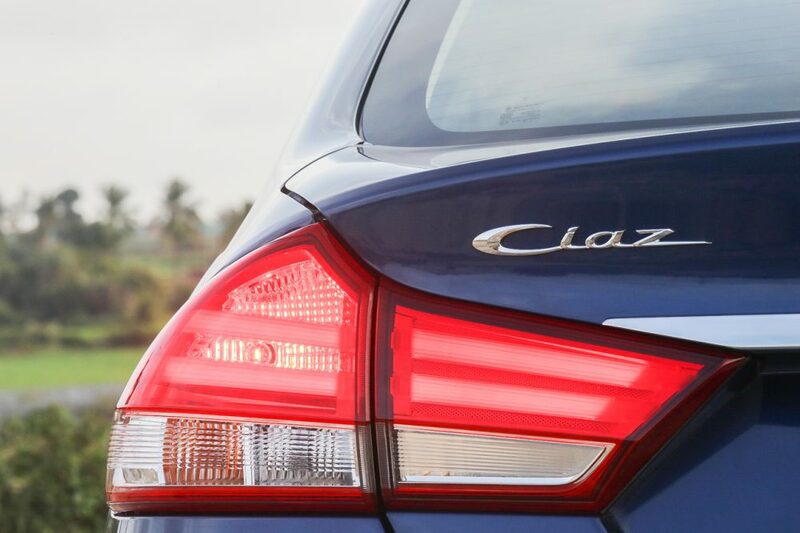 The Ciaz now looks sharper and more sophisticated than it ever did. What you won’t notice unless you pop the bonnet open is the new K15 motor, Maruti Suzuki’s very own effort. 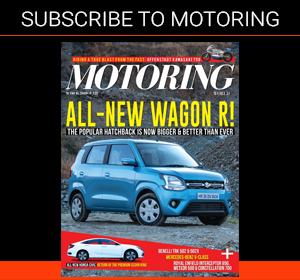 It’s a 1.5-litre four-cylinder unit that offers 103 bhp and 14 kgm worth of smooth and eager performance, and is ample evidence that today’s engines leave little room for complaints. 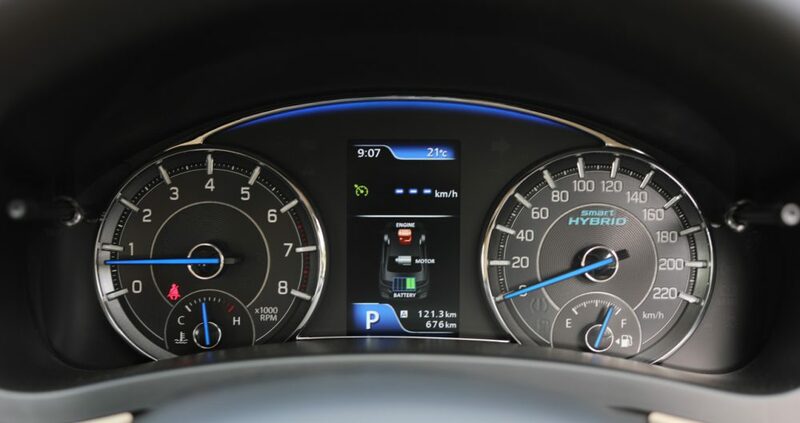 The Ciaz gets Maruti Suzuki’s smart hybrid tech standard across all variants which works off a lithium-ion battery using brake energy regeneration. 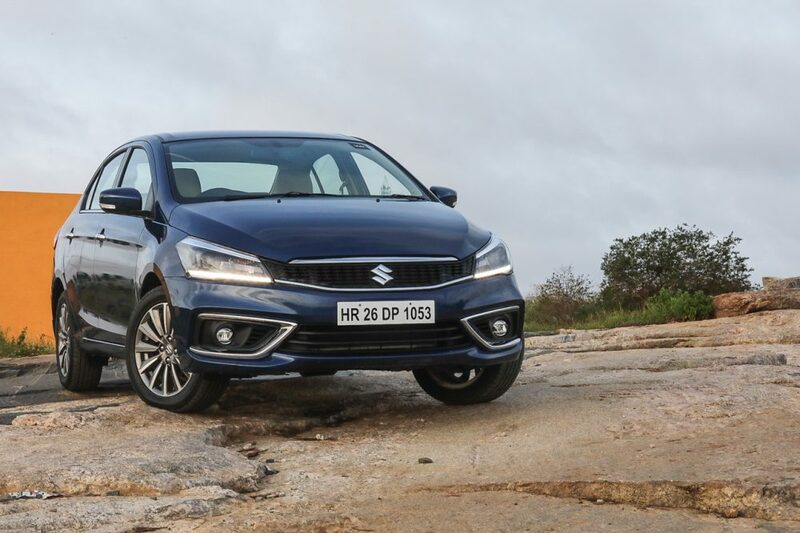 This motor is pretty much all you’ll ever ask for from a car like this and, given Maruti Suzuki’s history, it’ll likely be suitably frugal and reliable, too. The older 1.3-litre DDiS motor continues in the new Ciaz, but only until Maruti Suzuki’s own diesel motor sees light of day. Asking company officials about the diesel motor only got a smile and silence. Some more prompting provoked a promising ‘soon’. We’ll have to wait, but not for much longer. I drove both the manual and automatic versions of the petrol motor, and my impressions were positive. As much as I liked the manual gearbox with its positive shift action and near-perfect ratios, it was the 4-speed automatic that I found a lot more interesting. It might sound like it’s a couple of gears short, but at least it’s not an AMT or a CVT. It even has a touch of nostalgia as standard fitment. Whether that’s intentional or otherwise I don’t know, but I like it; under the usual P, R and D, you also get a 2 and an L, something that cars used to get several years ago. Some of the journalists present did express surprise at its presence in 2018, but no one really complained. It’s clearly an old design, but it performed well. 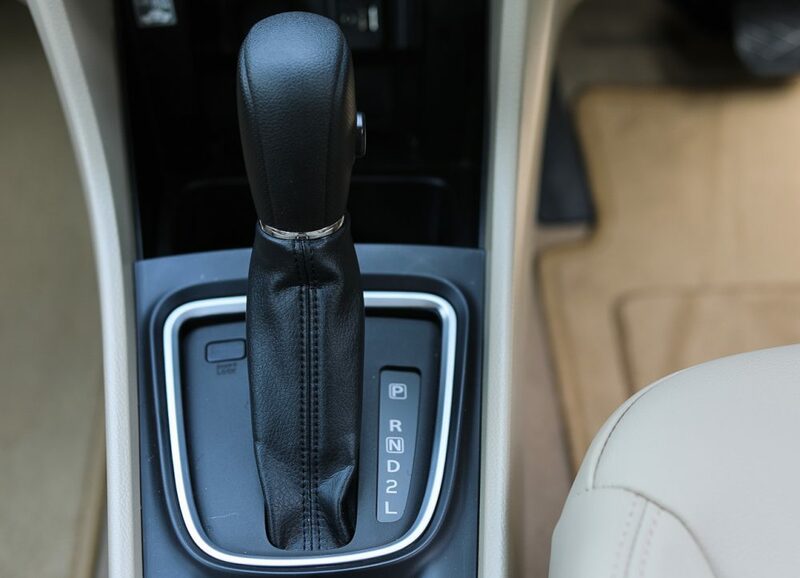 Upshifts were quick and seamless, certainly faster than human arms can manage through a manual lever. It was a pleasant surprise, and driving the Ciaz soon became a bit of a drag-racing session, slowing down to a crawl and then flooring it. Even driving normally, the automatic was unintrusive in the way it went about things. The only thing I can point a criticising finger at is the sudden halt in acceleration after 110 kph. The automatic decides it’s time to engage overdrive and the revs drop suddenly and stay there. You can get around this by shutting overdrive off via a button on the drive selector so that the motor revs like mad. This is a quirk, but it will only be a bother if you are interested in regular top-speed runs on a highway. For normal driving, it’s completely fine. The 2 and the L, in case you were wondering, are low ratios for steep inclines. Wonder which Suzuki car this gearbox came from. Ride quality is pretty similar to the older Ciaz’s, if memory serves correctly. The Ciaz is still good over bad roads. 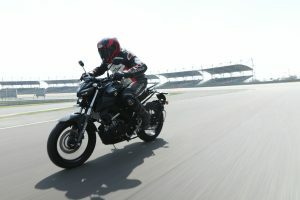 Changes have been made to the suspension, but handling remains easy and surefooted, and the optional 16-inch wheels hold the road well. 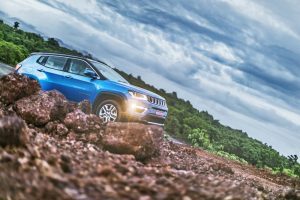 The steering action is light and reasonably precise, while the ground clearance is enough to negotiate rough roads. And when it’s time to stop, the brakes are strong enough, too. However, though the Ciaz gets safety features like ESP and hill-hold assist in the automatic variants, and a high-speed warning alert that beeps once at 80 kph and then keeps going on at 120 kph, I think it should’ve had six airbags instead of just dual front airbags. Maruti Suzuki leads the Indian car market and it should lead by example, too. The new Ciaz gets things like cruise control, auto headlamp levelling, projector headlamps, LED lighting and so on. It can and should offer maximum protection, too. The interior is a comfortable place as it always was, and it now gets a strip of wood finish running across the dashboard and doors. This is accompanied by satin chrome accents, too, while the rest of the cabin is beige. 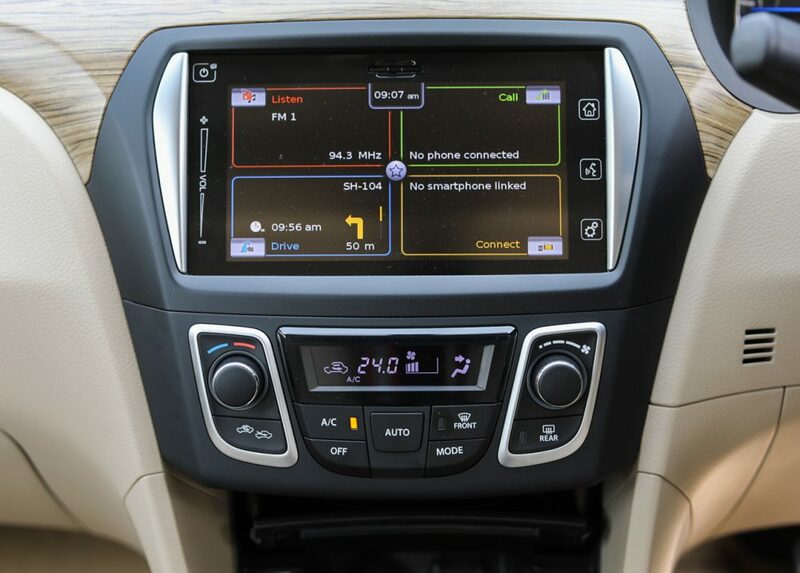 Again, the interior is improved, with familiar and user-friendly buttons and touchscreen within easy reach. The seats are comfortable at the front and the rear, the steering wheel feels nice to hold, and the driver’s view of the surroundings is great. The new Ciaz’s pricing begins from Rs 8.19 lakh for the base petrol, Rs 9.19 lakh for the base diesel, while the top-spec petrol automatic and diesel manual models are both priced at Rs 10.97 lakh. There are a total of 11 variants including these, so I’m sure there’s something for everyone who’s looking for a car like this. And the sales numbers should tell us fairly soon if getting everything we expect is enough.